Chanel Rouge Coco Shine in Téméraire from the Fall 2015 collection Les Automnales had several surprises in store. I thought it was going to have a metallic finish (see photo of the Téméraire in the tube), but that seems to be just an overlay that doesn't translate when applied. 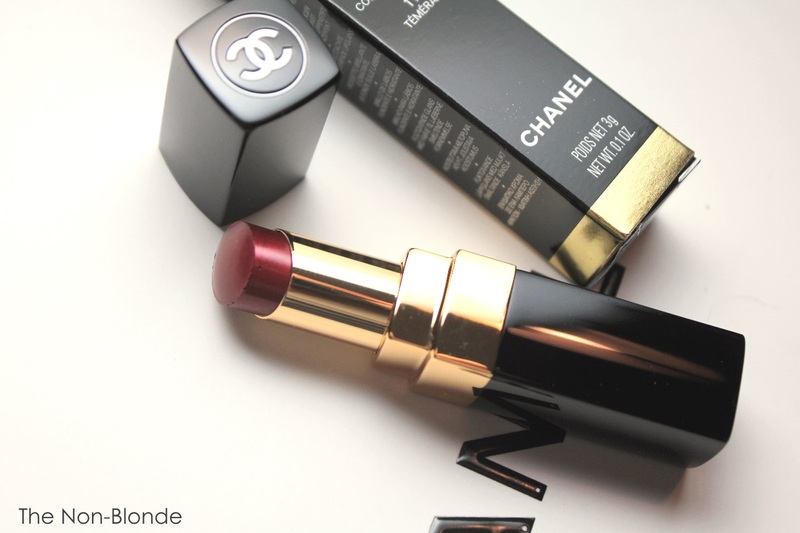 There lipstick has a certain sheen, like all Chanel Rouge Coco Shine products, but it's not an 80s revival. Then there was its longevity and the strong stain left behind. It started as I first swatched it on my arm and had to use an oil cleanser to get it completely off, and kept this much-desired trait when I started wearing it. Very impressive for a lightweight high-moisture lipstick. Téméraire ("temporary", ironically "Reckless") is a complex rich red. At first I thought it was leaning warm (the whole autumn thing), but it doesn't really, especially compared to the equally gorgeous Chanel Glossimer in Chene Rouge from the same collection. It's very flattering and I suspect that most skin tones can work with Téméraire. I, for one, am not waiting for the weather to cool down and become autumnal. 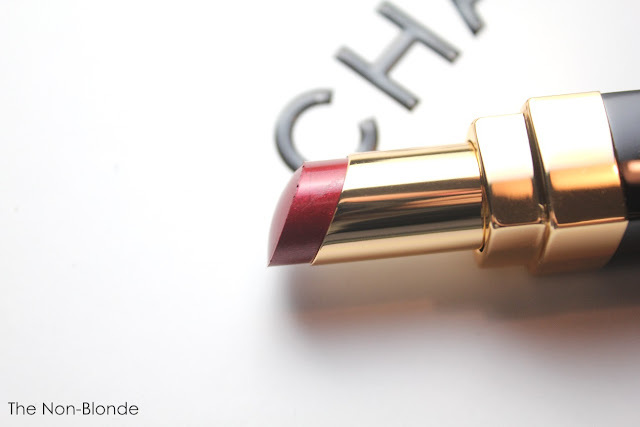 Chanel Rouge Coco Shine Téméraire from Fall 2015 Les Automnales collection ($36, made in France) is available from chanel.com and is already at most counters. I need more red lipsticks like I need a hole in the head. But these are sooo tempting. Non-Blonde, are you going to have another posts about chemical exfoliants soon? This was the one item I bought from the fall collection. It's beautiful! Stunning! I'm anticipating colder days wearing Temeraire on my lips. So pretty. When I tried this at my local (and favorite Chanel counter at Macy's....the manager is a delight!) everyone gasp....yes it's that gorgeous! This fall collection redeems last fall's wild 80's inspired collection with it's garish colors. I have purchased the blush, this rouge shine as well as the coppery one, the limited eyeliner in the pretty walnut color and New moon which I passed up last time around because I wasn't sure how or if I'd wear it. Even though I don't need another red lipstick I may get the red matte lipstick in the line. 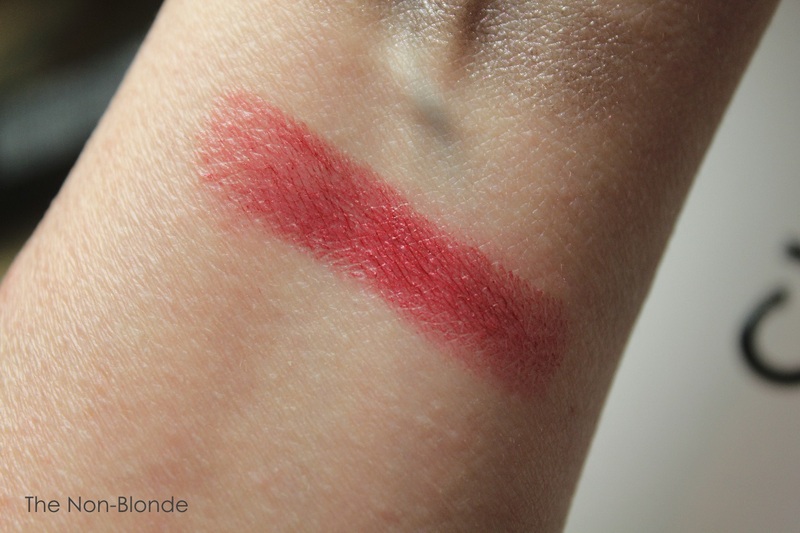 I love the matte formula and it's a stunning color. The only thing I wasn't impressed with is the 5 shade eye palette. But I love the 4 pan one. So much pretty.....not enough face space. ha!